The next day, I wake up much earlier than usual. I heard some noises outside. I glance at my bracelet. The time is four in the morning. Hardly anyone will wake up this early. 67db65ca7789f8cfa361eeca355a31b7cc95cb44 If you are seeing this message, you are probably reading this chapter on one of the content-stealing websites. This chapter was originally posted on http://www.rebirth.online/novel/world-traveler/19 and only the Content Creator has the legal right to decide where it can be posted. I pat my sleepwear to straighten it. Then I walk out of the room. In the hallway I see Mary outside her room, looking out of the window. Moonlight shines in and illuminates the hallway. The gentle light falls on Mary’s hair, giving it a celestial feeling. This chapter was originally posted on http://www.rebirth.online/novel/world-traveler/19. However her obvious anxiety nearly destroys it. She is fidgeting around. She doesn’t even realize I have came out. I walk slowly to her. I don’t plan to conceal my presence but even after I reach behind her, she still doesn’t realize it. I think on how to call her. If I call her out suddenly like this, she will scream and it will wake others up. I decide to be a bit bold. I slip my left hand and close her mouth. With my right hand I pull her into my embrace. I pin her down to my chest. Mary is visibly scared. She tries to shout but I have closed her mouth. Her arms are locked by my right hand. I whisper close to her ear. After confirming that she calms down and nods, I release my hold. Mary jumps out and turns around. With a red face, she pouts adorably. I beckon her to follow me. After hesitating for a while, Mary follows closely behind me. I push open my door. After we enter, I close the door slowly. Mary sits on the bed while I grabs a chair. She fidgets around a lot. Tears also start to gather at the edge of her eyes. I heave a sigh and stand up. I pull her head to my chest and stroke her hair. She starts to sob. Looking at her crying, I feel sad. I try to think what happened yesterday. In the afternoon we had lunch together with Harold’s family and Yuni. After that, Jenny and Alishia went out to play. Yuni asked to see my weapons so together with Harold, the two of them curiously looked around in my room. Mary was around us all the time. She didn’t act strange at all. In the evening when Jenny and Alishia got back, Yuni accompanied them. Mary had nothing to do so she also played along with them. There was nothing wrong from then until we slept. The only different thing is that Yuni stayed over. She is currently sleeping in one of the guest room. I confirm it through the bracelet so she shouldn’t have been the problem. Stroking Mary’s soft and smooth hair, I keep at it for a moment. When Mary falls asleep, I lay her down on my bed and put a blanket over her. I sit down beside the bed. While admiring her sleeping face, I think of how to reduce her anxiety. She is frightened by something. With her magic, there shouldn’t be many thing that can scare her. I open up the inventory list and browse through it. 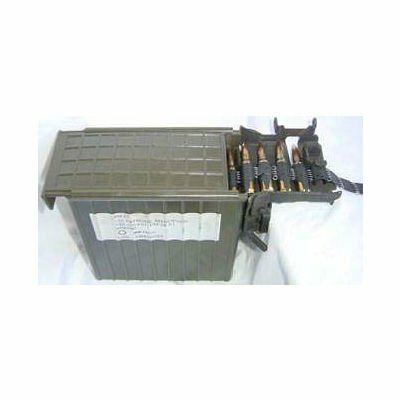 Then I take out two LMG box magazines, five drum magazines, and ten rifle box magazines. Taking out a box of bullets and mag loader, I start to fill them in. The LMG box magazines are simple. I just need to take out a belt of bullets and arrange it inside it. After putting them in, I close the box. These boxes contain one hundreds and fifty bullets each. Picking up my MG3, I try fitting on the mag and it clicks properly. I unfit the mag once again. The drum magazines contain fifty bullets each. I prepare it for emergency so I can bring the MG around quicker. Next is rifle mags. Each can contain thirty bullets. Next I check out the condition of the weapons and my suits. By the time I finished doing them, the sun has peeked in from the horizon. I open up the curtain to let the sunlight in. Mary squirms and pulls up the blanket. A dark circle can be seen underneath her eyes. It looks like she can’t sleep well last night. I pat her head and let her sleep more. I arrange my backpack with the mags. It has become quite heavy. Fortunately I can use the exoskeleton in my suits to reduce the weight. A while later I put up my suit within which a exoskeleton system is installed. This is a soldier’s suit unlike my previous scout suit that broke in the fight with Baron Barg. It is more durable and can support more weight. Other than that, there is more slot to fit more mags. I fit in the ten rifle mags on it. Frag grenades and flash bangs are fit on my waist together with sidearm’s mags. Prepared, I grab my bag and go out of my room. Yuni goes out of her room at this time. She stares at me dumbfounded. I smile wryly. I only do this because Mary is afraid of something. If I go fully prepared like this, I think she will calm down even if it is just a bit. I panic as Yuni makes her way to Mary’s room which is just beside her room. Yuni stares at me for a while. A grin suddenly appears on her face. I can feel my back hair is standing. I turn my back to her and go downstairs. Yuni stares at Erwin’s back as he goes downstairs. Curious, she walks to his room. Opening the door, she peeks in. Yuni stares at Mary who is still sleeping for a while. She then stares at the stairs. After pondering for a while, she looks around the room. Not finding anything, she looks back at Mary. She grins after finding a thing to tease them for. Erwin has no idea on what happened. Yuni has been acting strange since breakfast. She keeps grinning like an idiot that spooks the hell out of me. Both of us are on the way to the guard house. Seeing me carrying strange things, the villagers have strange faces. I walk through the road like a monkey in a zoo. It’s quite uncomfortable. Soon we reach the guard house. More than twenty people have gathered outside the building. Half of them are mercenaries from the warrior guild. Their outfit are clearly different from other guards. The moment Yuni and I arrived, the guards gasp. Their disbelief is painted clearly on their face. Some of the girls are smiling meaningfully. The mercenaries aren’t any better. I do see quite a few interested in the strange things I bring though. Right before the girls can come over, the door of the guard house open up. A middle aged man come out with a piece of paper on his hand. He sweeps his gaze at all of us. Yuni go to the girls’ group while I stand at the edge of the gathering. All of the guards have a solemn face on. The mercenaries smiles broadly. After a few discussion, the guards and mercenaries are arranged into two group. The first group of scouts consist of five people. The rest are in the second group. The second group are further divided into three. Two man the watch tower outside. The other two group, wall guards and patrolling guards take half of the remaining people each. As I don’t really care where I am put in, I put down my big backpack and weapons beside a tree nearby. Then I lean my back on it. I watch the discussion while thinking of Mary. She is so overly anxious that it’s dangerous. Harold has promised to take care of her today but I still can’t put my mind in ease. For a moment I remember being told that she lost quite a few memories when she was twelve. At that time, I didn’t pay much attention. Is it related to it? ‘I should have asked for the detail.’ I immerse myself in deep thought. Various possibilities appear. Yuni’s shout bring me back to reality while I am in deep thought. I look over only to find her points her finger at me. She smiles sweetly which makes most of the male guards stunned. Feeling helpless at the stares from all around, I swiftly pick up my bag and weapons. I run to chase the strange girl who is also quite a beauty. 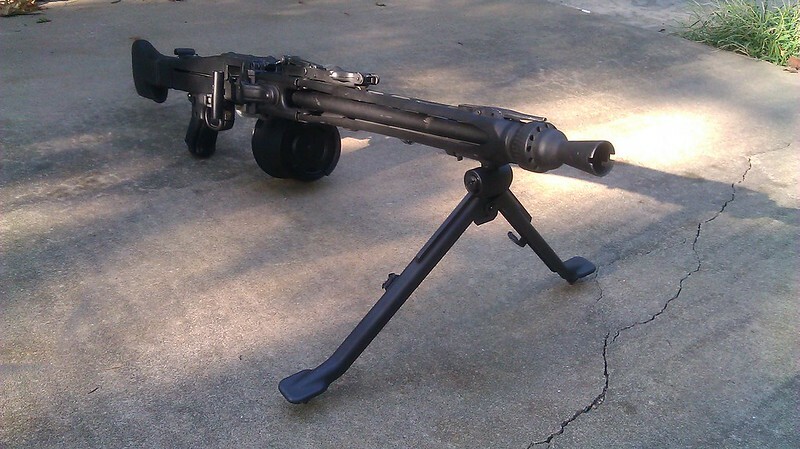 LMG is the lighter and usually smaller version of machine gun. They are designed similarly to support allied troops and suppress enemy troops. The advantage compared to normal MG is that it is more maneuveable and can be used by one person. 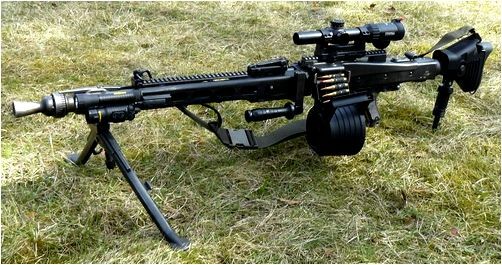 A lot of MG nowadays are LMG as they can be carried around and used by one person.